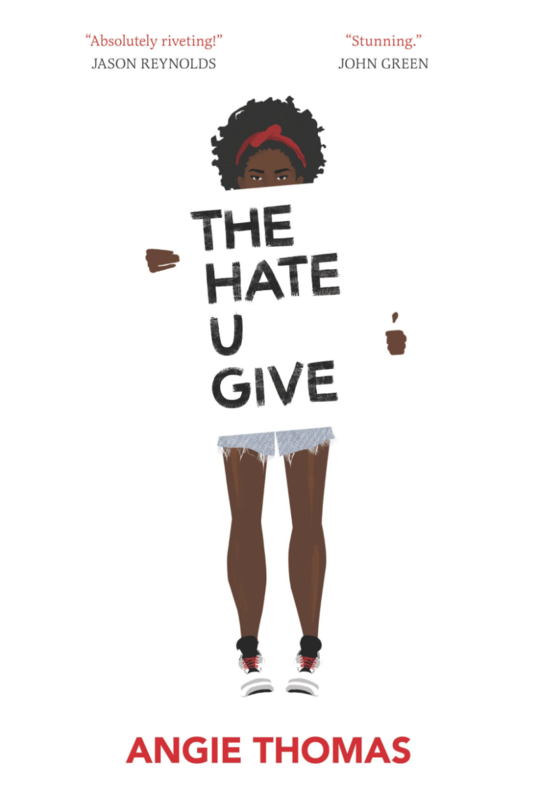 The Hate U Give, Angie Thomas' debut young adult bestseller, is a cry for change, a plea to be seen, and an absolutely heartfelt, accessible and take-no-prisoners story that drops its reader right into the middle of the front page news. What amazes me about Angie Thomas' writing is the deft, honest way she writes her characters--the ones on both sides of the narrative's conflict as well as all those mired in the crosshairs--so that each one can be understood on an empathetic level. The reader finds herself rooting for the ex-gang member, laughing at the upper crust boyfriend, cringing at the offhand remarks of a would-be friend. Thomas plays out both sides of the story for the reader--all perspectives on an issue that so desperately needs to be addressed from the very inside out as witnessed by the teenaged Starr Carter, an idealistic, bruised, wise and funny character drawn so realistically she could've sat in any of my classrooms when I taught high school. I was afraid to read this book because I knew it would be powerful. I am so glad I read this book solely because of its power--and that is all because of Thomas's remarkable way to bring the reader into the very world she's trying to show us.